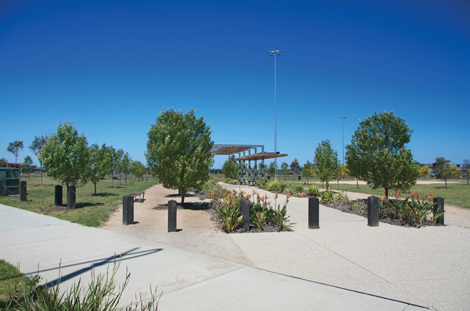 Villawood Properties asked Habittude by Fleming’s to play a major role in the creation of Alamanda as a community hub. The goal: to make Alamanda a place that feels like home well before you reach your house. a fresh feel and shade trees that exude stress relief. Trees were chosen, plans drawn, approvals co-ordinated and implementation plans undertaken by Habittude. 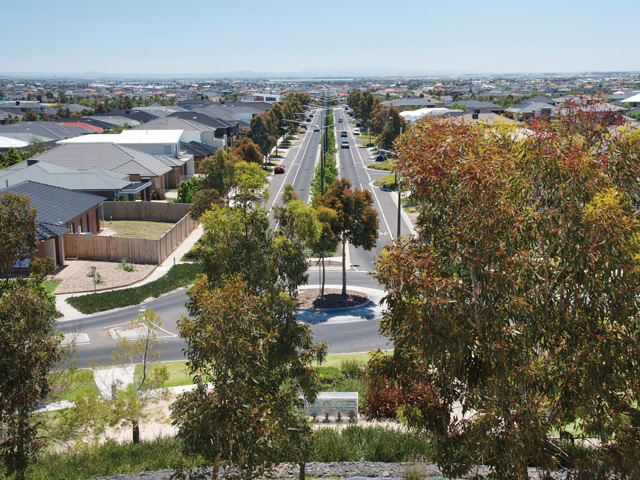 This allowed Villawood to focus on the important task of filling the community. Plantings rolled out on time and as planned. Meticulous maintenance ensured that all trees were given every opportunity to flourish. Trees that did not grow to our standard were removed and replaced. During the maintenance phase we ensured that trees were pleasant on the eye. They were upright, weed free and their form was ideal. We embraced our role as the people to create an environment that exuded quality, comfort and promote community. Today, four years on, Alamanda is thriving. 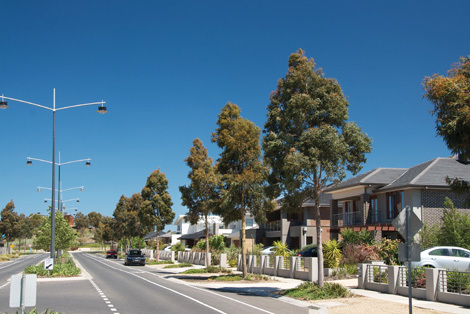 The main boulevard boasts upright Corymbia maculata that tower over six metres tall and guide the community home. Melia azedarach cast a three metre canopy over footpaths to relieve the heat of the day. The branches on the Gleditsia ‘Ruby Lace’ frolic in the morning breeze as they stretch to welcome the new day. In the summer months the vibrant flowers of the Lagerstroemia kiss the warming sun. 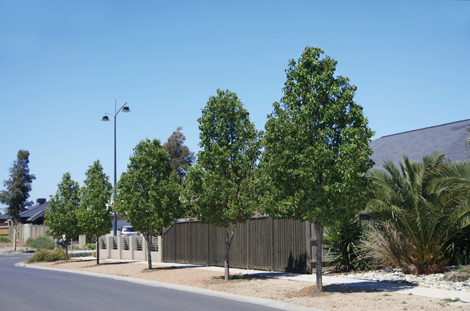 The Pyrus calleryana Chanticleer® stand proudly in rows like soldiers inspiring confidence.